One Way Van Hire From Spain To UK - Can Your Piano Go With You? One way van hire from Spain to UK will take a long time to organise � it is certainly not something that should be rushed into. You will need to find the perfect partnership with the right removals company for you for what you need to have moved. 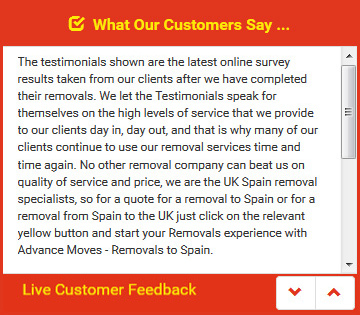 It is always important to be able to trust those who are moving your belongings during your removals to Spain, or back again. And there are some items that are too precious to put into storage � they are yours to have with you all the time. One such item could be a piano. The best, most expert and professional removers who have access to van hire Spain will certainly have come across piano removals before. They will have ensured that their one way hire vans are fully equipped to deal with heavy yet delicate objects, just like a piano. This includes having the right insurance, using the right vans, and having the correct equipment to keep the piano safe on its journey to Spain. The insurance that will be required will need to cover the cost of the piano � and other high value items � as well as the vehicle and driver. You should ask to see copies of the van hire company�s insurance details so that you know they are going to cover you should anything happen. The right vans must be used to transport heavy equipment. They must not be overloaded, because if they are there is the risk of fines and your piano could be offloaded and left behind! You should always be able to have your precious belongings transported to Spain, no matter what they are. Advance Moves (http://www.advancemoves.com/) has all the expertise and equipment you will need for one way van hire from Spain to UK, or vice versa. For further details, please contact us on 0871 218 0612 or info@advancemoves.com.